Hair loss may be caused by nutrient depletion, certain disease states, medications, or just simply your genetics. Even though there are a few different types of alopecia the one that we may think of most often happens as we age and is usually based on your genetic predisposition. 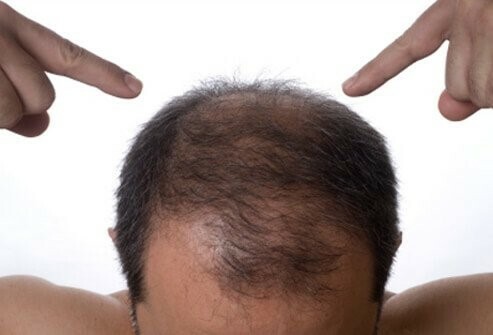 Men and women can both experience androgenic hair loss, but it’s more prominent in men. Good nutrition may help support the hair you still have. Hair loss is common and nothing to be ashamed of but if you want to add to your head of hair then talk to your doctor about compounded medications. We can work with your doctor to create a customized compounded medication for topical use.